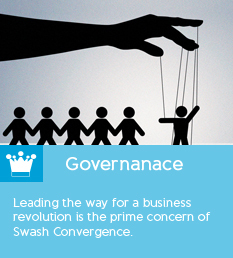 Swash Convergence is a pioneer and a trendsetter in the field of software solutions. 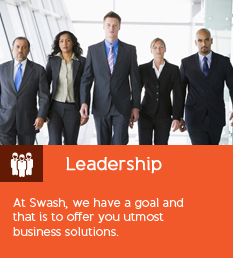 With a rich history of developing and delivering enterprise based solutions and 360d consulting services globally, Swash is today the leading provider of on-demand Enterprise Resource Planning (ERP) solution which integrates Human Resource, Finance, Inventory, Production, Sales, Purchase, Hospital, Education and Customer Relationship Management. Swash's software solutions enable its customers to streamline internal operations, facilitate productive communication among the team members, capture and share learning process and to innovate and improvise products. Swash’s dedicated “Centers of Excellence” enable it to harness the latest technology for delivering business capability to its clientele. 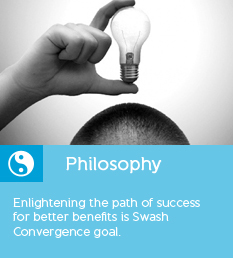 In today’s world, when everything works by the power of knowing why, how, when and what, Swash works by the power of answering those questions with a knowledge capital par excellence through a team of highly skilled consultants, developers and architects who create innovative, customized, diverse yet focused solutions for businesses, thereby inspiring them to achieve greater heights. This is what takes Swash ahead of its competitors. 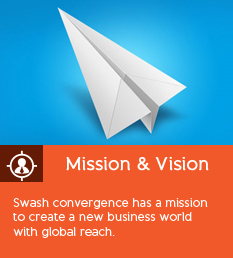 Since 2001, Swash Convergence Technologies Ltd. has been delivering exclusive and innovative software solutions to enterprises irrespective of their size and growth. Our technical skills and expertise in various industry segments provides..